We can provide home repairs, collection/ delivery and installation services throughout and just outside the west midlands region, including postcodes B, CV, WS, WV, WR, DY, TF, SY, G and HR. I have equipment from a manufacturer not included in your list. Can you still repair it? Providing the spares are still available from the manufacturer, we can repair most items. Or we can point you in the right direction if it’s something we are unable to fix. My item is faulty. Is it still worth repairing? This is never an easy question to answer as there are so many different factors that affect the viability of each repair. How old is the item? How much did you originally pay for it? Will it require spares? What you consider a worthwhile cost, someone else may not. We’ll always give you advice on a particular item before we start work and we try to keep costs down to bare minimum. As a repair company, we want to continue repairing products and we’ll only do be able to do that if we can save our customers money! I still have lots of VHS videos – can you repair my old video player? We will need to inspect the unit and establish what part has failed. As long as the manufacturer is still supplying the spares, it should not be a problem. What happens if my unit cannot be repaired? If your unit is covered under the manufacturer’s warranty and cannot be repaired, for whatever reason, we will contact the manufacturer on your behalf to get it replaced or exchanged. If the unit is no longer covered under warranty, we can help you contact the manufacturer to find out about your available options. Alternatively, we can dispose of the unit for you. How much will it cost to get my unit inspected? The initial inspection fee is £30 + vat. This will be deducted from the final invoice if you ask us to carry out the repair. 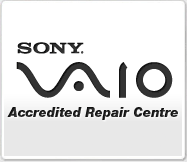 Do you provide any warranty on repairs? In line with industry standards, any parts that are replaced are covered by warranty for three months from the completion of the repair or return of the item. You can purchase extended warranty on all items. What does an extended warranty cover me for? Your extended warranty policy will cover the costs of collection, inspection, repair and return of the insured item. If the item cannot be repaired, due to the unavailability of spares or cost, it will be replaced or exchanged. The warranty does not cover accidental damage. I have extended cover already with another insurance company. Can you deal with this on my behalf? Yes, we can repair most units under extended warranty - we just invoice the insurance company instead of you. Please call us to confirm the extended policy details. I’m struggling to get everything set up. Can you install my equipment? Yes, we can install your electronic equipment, whether single or multiple items. Our installation services range from basic set up to bespoke installation and assessment, helping you get the best performance from your equipment. How quickly can you come and inspect / collect my faulty item? We try to get out to all customers within 24-48 hours of receiving a call. Can I get a loan TV if my set is brought into your workshop for repair? If your TV is covered under a manufacturer’s warranty that includes a loan set then, subject to availability, we will provide you with a TV on loan. Unfortunately we cannot provide loan TVs for sets which are not covered by an appropriate manufacturer’s warranty. Will I need to send in all my accessories? This will depend on the individual unit and the fault. You can contact us before hand to find out, but it is always worth getting everything checked as it will all be covered under the initial inspection fee. All accessories are recorded and kept with the appropriate unit at all times. How do I know my unit will be looked after? All units, whether delivered to our premises or collected from your home, are carefully inspected and documented by our team during booking in. Please check this documentation carefully before releasing the unit into our care. All items are then bubble or shrink wrapped to keep them protected at all times.